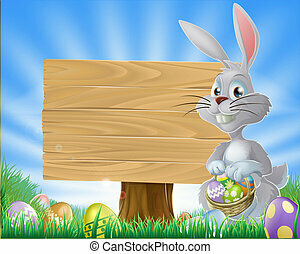 Easter sign bunny eggs background. 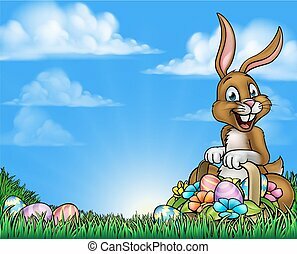 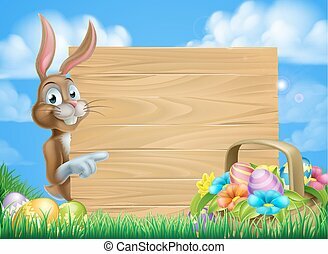 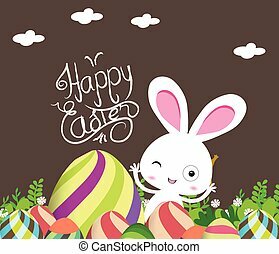 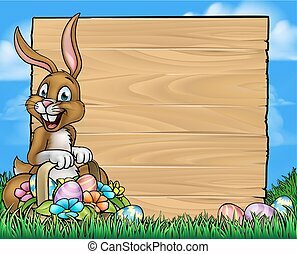 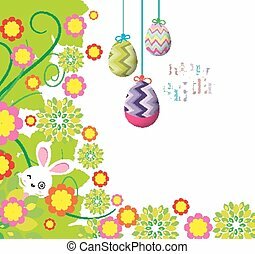 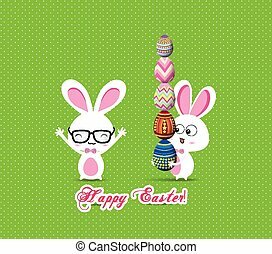 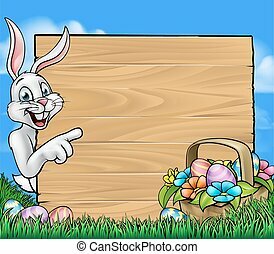 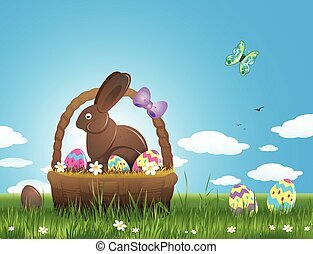 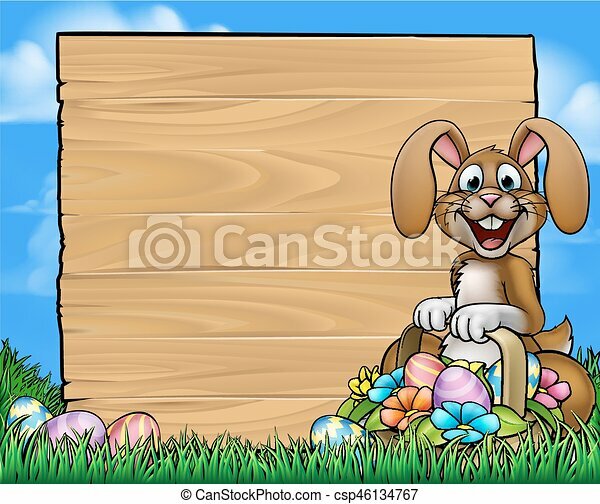 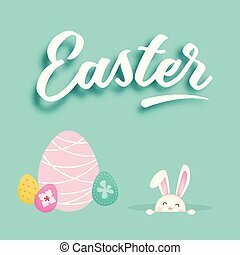 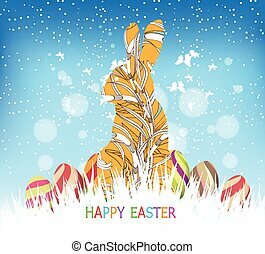 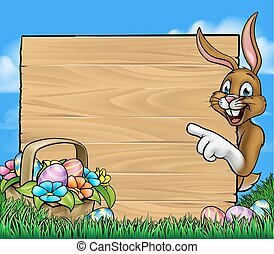 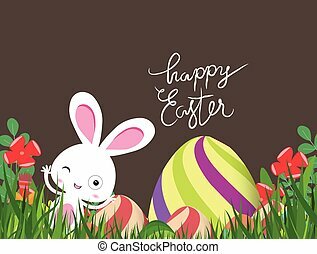 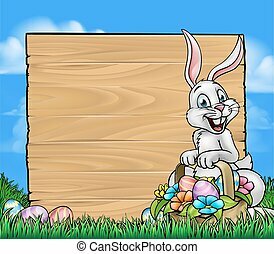 Easter background sign with the easter bunny holding a hamper or basket full of decorated colourful easter eggs and flowers. 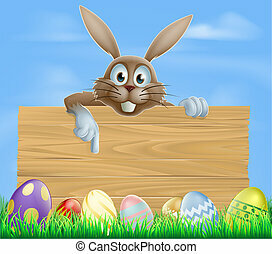 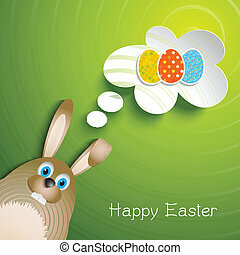 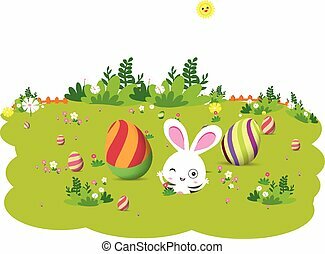 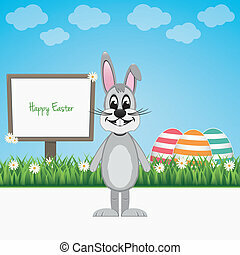 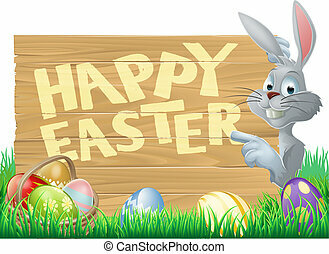 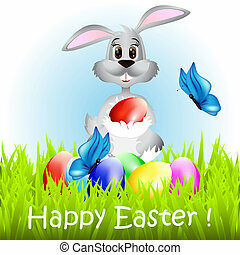 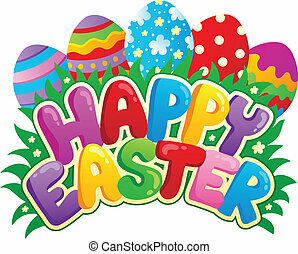 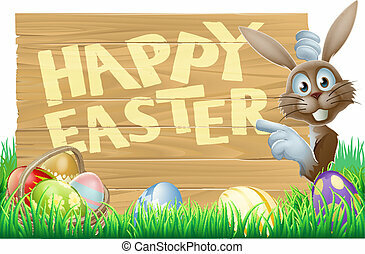 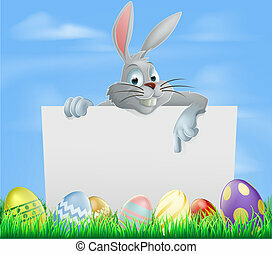 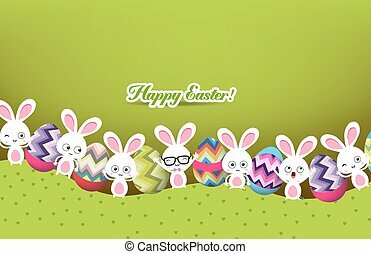 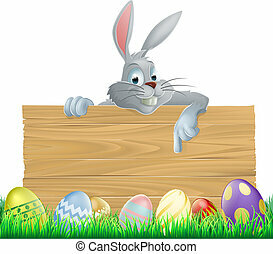 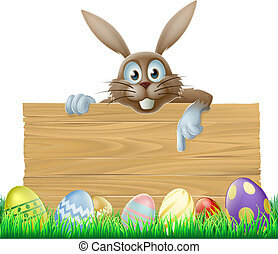 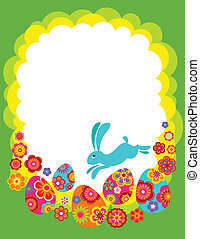 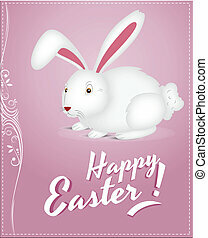 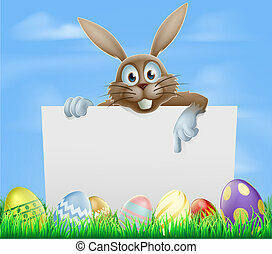 Happy Easter sign theme image 3 - vector illustration.